The SUE Solution’s team effectively completed an extensive utility asset evaluation using Quality Level ‘A’ services (horizontal locating). Also, utility research, mapping, and utility inventory were completed for this project located in West Haven, Utah for UDOT Region One. The general project scope of work include roadway widening, roadway reconstruction of the SR-37 & SR-134 corridor and the installation of a new traffic signal. SUE Solutions Level ‘A’ services were completed in July of 2011. A total of nine (9) potholes were completed per the direction of UDOT. Utility coordination efforts with existing utility owners, and local utility locating contractors also took place to account for those utilities that were not locatable by conventional means. 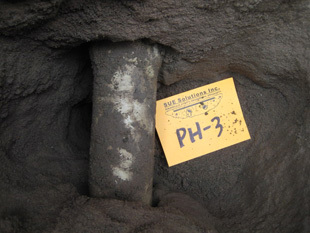 The Quality Level ‘A’ locating services included, gathering crucial utility data such as depth, size, and material. 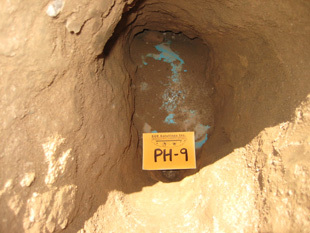 The final deliverable to UDOT consisted of test hole data sheets and photographs of the utilities potholed.